The Fall Fishing is in Full Swing with 10 Boats out Today!!! Speckled Trout have moved into the Marsh & Bayous!!! The Redfish & Black Drums have been stacked up since April. | Dudenhefer's Fishing Charters, Inc.
← Busy Fishing almost every day can’t keep up with the fishing reports will post them on My Facebook and putting up the pictures in the photo gallery. The Fall Fishing is in Full Swing with 10 Boats out Today!!! Speckled Trout have moved into the Marsh & Bayous!!! The Redfish & Black Drums have been stacked up since April. The Fall Fishing is in Full Swing with 10 Boats out Today!!! Speckled Trout have moved into the Marsh & Bayous!!! 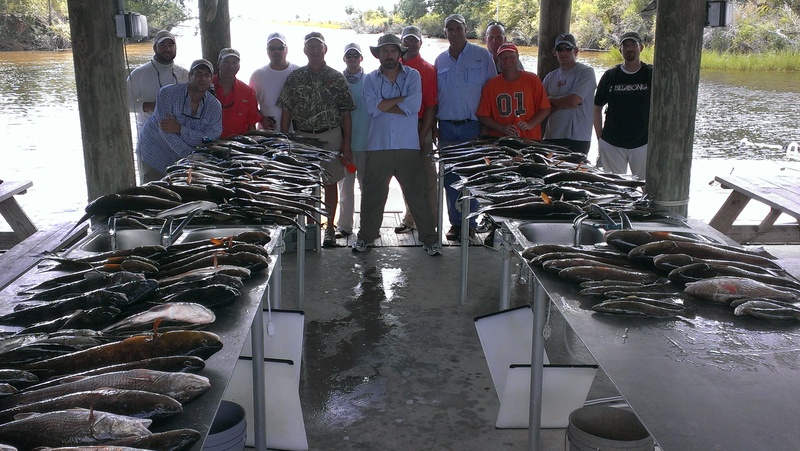 The Redfish & Black Drums have been stacked up since April. Call the Dude!!! (504) 813-FISH (3474) for Fishing and Lodging!!! Pictures were from September 20, with 10+ Boats out and the Redfish Were on!! !